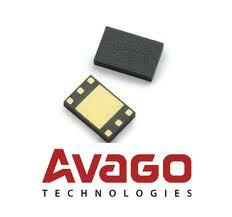 Avago, a semiconductor chip manufacturer, has agreed to purchase LSI Corp for $6.6 Billion. LSI is a 32-year old company that has specialized in chips for network products and enterprise data storage. Incorporating the LSI product portfolio into the Avago line-up of chips expands their storage market product offering as well as augments the existing catalogue of industrial, mobile and network infrastructure chips. This highly complementary and compelling acquisition positions Avago as a leader in the enterprise storage market and expands our offerings and capabilities in wired infrastructure, particularly system-level expertise. This combination will increase the Company’s scale and diversify our revenue and customer base. In addition to these powerful strategic benefits, as we integrate LSI onto the Avago platform, we expect to drive LSI’s operating margins toward Avago’s current levels, creating significant additional value for stockholders. Mergers, acquisitions and spin-offs are not unusual for semiconductor companies in general, and Avago in particular. Avago was created when Agilent spun out their semiconductor division into a privately held company financed through hedge fund investors KKR (Kohlberg-Kravis-Roberts) in 2005. KKR later took Avago public in 2008. Agilent was itself a divestiture from Hewlett-Packard (HP) when HP decided to focus on its computer products business.